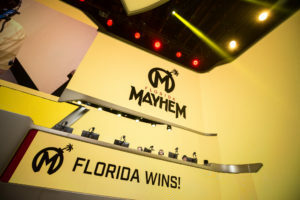 The Florida Mayhem didn’t exactly turn too many heads last season. Apart from their March upset over the Los Angeles Valiant, there wasn’t much to write home about after their 7-33 finish. With coach Vytis “Mineral” Lasaitis taking time off to improve his mental health, and mid-season pickups Jeong-Woo “Sayaplayer” Ha, Joonas “zappis” Alakurtti, and Sung-Hoon “aWesomeGuy” Kim unable to help turn things around, fans and analysts were anxious to see what direction management would take during the off-season. The answer was pretty dramatic — a total gutting of Florida’s core. A little insight into today’s news which will shape the future of @FLMayhem roster. For the month of August we ran trials in NA/EU/KR with over 50 players including every single S1 Mayhem player. No job was safe and everyone competed. Given the roster’s underperformance, it’s difficult to say that Florida’s decision was unexpected. Consistency was one of their biggest issues all around, along with their inability to meet expectations through any meta. Though they did show some flashes of brilliance, Florida could never keep that flame lit for more than a map or two in a row. The Mayhem’s recent open trials resulted in a combination of Academy promotions and Path to Pro acquisitions. Perhaps the most groundbreaking move was the call-up of Mayhem Academy’s Damon “Apply” Conti. Apply has been performing well for the Mayhem’s Overwatch Contenders team, earning himself Overwatch League’s first Two-Way contract. He will be eligible to play for both teams during Season Two. Another promotion from Mayhem Academy was support player Hyeon-Woo “HaGoPeun” Jo. HaGoPeun was initially acquired from the London Spitfire in June and has subsequently worked his way back to the big show. His past experiences with GC Busan and London make him a big upgrade to Florida’s backline and a veteran presence for newcomers. Joining HaGoPeun on support is Jun-Soo “Kris” Choi from Overwatch Contenders team Meta Athena. Kris will be reunited with this former teammates Sayaplayer and aWesomeGuy, giving the Mayhem an important layer of synergy heading into Season Two. The last two Contenders pickups were DPS player Sang-Bum “BQB” Lee from X-6 Gaming, and main tank Sang-Won “Swon” Yoon from NRG Esports. Finally, the Florida Mayhem acquired flex tank Jae-Mo “XepheR” Koo from the Seoul Dynasty in early September. XepheR will give Florida some added depth in the tanking department where they struggled miserably all season long. If he’s given more playtime than he had with Seoul, XepheR will have a chance to show everyone what he’s really made of. This new look for the Florida Mayhem should see them advance to at least a middle-of-the-pack team in 2019. With so many other teams rebuilding for the future, however, this Florida roster will have the opportunity to be a dark horse contender down the stretch. At that point, it will come down to coaching and development just as much as anything else. As part of the Mayhem’s determination to evolve and improve, they signed Scott “BEARHANDS” Tester to the Assistant General Manager role back on October 2. Tester has experience working for Blizzard and the NYXL, where he helped shape one of Overwatch League’s most exciting rosters of the inaugural season. He is currently assisting with Overwatch World Cup operations for Team USA. 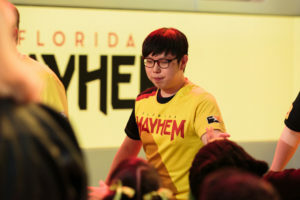 With Tester helping with team ops, development, and scouting, the Florida Mayhem and Mayhem Academy have very bright futures. There is no singular key to success in Overwatch League, and while developing teams like the Mayhem are still going through growing pains, having experienced, passionate leadership will help them get to where they need to be. For Florida, the only place they need to be is out of the gutter. Blizzard has hit the reset button on Overwatch League for Season Two. Gone is the long, controversial schedule of last season in favour of an abbreviated season with 20 teams. These changes, along with the desperate need for quality players across the board, should actually help the Mayhem find the success they’re looking for. They’ll have more time for quality practice, and they’ll be on equal footing with other teams that are also developing their synergy.